Thank you for completing the visitor survey. 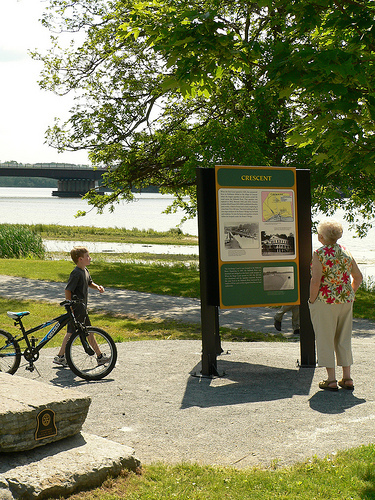 Like other America's Byways we are trying to establish a tool to assess the economic impact the Mohawk Towpath Byway has on our area. Your perspective is greatly appreciated and the time you took to complete the survey is invaluable to the Byway. Please also consider joining the Friends of the Mohawk Towpath Byway by visiting and joining at our Group's LinkedIn website or our Facebook website. We also hope that you are inspired to volunteer for any number of varied activities on the Mohawk Towpath Byway. We know you don't have a lot of time to donate, but there are some fun projects that you can do that really can make a difference. You remember what your grandparents said, "Many hands make light work!" Visit our volunteer page today. © 2015 Mohawk Towpath Scenic Byway Coalition, Inc.